Below are a selection of our clients comments on the work we have carried out for them. Be highly value client feedback as we believe it helps build trust and as most of our work comes from recommendations and call backs it is important to us to listen to our clients and provide the best service possible. 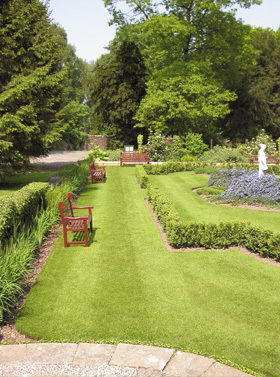 Our company have engaged the services of Dig It Landscapes for a number of years. They supple us with an all year round maintenance service which includes litter picking, spraying of forecourt, grass cutting and hedge trimming. They have also done a few one off jobs on the site. It’s a pleasure having them on site and they have always be able to work around our customers as we are a very busy service station this is very important to us. 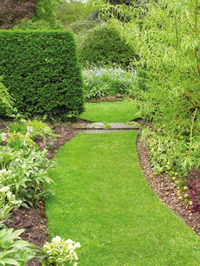 I would recommend them to both other business or any household who needs the services of a professional team of landscapes gardeners. We like the personal touch that comes with using Dig It landscapes and they are local". Manager Esso services station, Pontypool, Torfaen. Just writing to say thanks for doing my front garden...you did a great job,,,looks lovely". "Paul offers a friendly and reliable service. I would highly recommend their services for both private and business reasons. No job is ever a problem for Dig It". may I take this opportunity to express my thanks for clearing my Daughters garden and preparing for sowing and planting. The garden looks beautiful and we have received many compliments from the local neighbours. I will happily recommend your services". Regional Manager on behalf of Fox Moving and Storage. "This letter is to confirm that Pramac (UK) Limited engaged the services of Dig It Landscapes during the month of January 2005. Dig it Landscapes undertook a major clearing work of reducing overgrown trees, tree management and the reinstatement of a large pond including a new liner, planting and stocking the pond with new fish. I, the quality engineer of Pramac (UK) Limited have no hesitation in recommending them to any business or household who require landscaping works etc. The work undertaken on the Pramac (UK) Limited site was carried out efficiently and effectively demonstrating a good quality level of workmanship". "I wish to confirm that Newport Speedway engaged the services of Dig It Landscapes over the past 2 years. The major work they have undertaken at our facility is rubbish clearing, spraying of weeds and strimming of banks and bunds. They have been professional in their work and services and I have no hesitation in recommending them to any other business or household who require landscaping works etc". 'Paul and Megan of Dig It Landscapes helped design, install and creatively transform our garden into something that looks magnificent. Very hard workers, who turn up on time and were always clearing away after themselves very thoroughly. Our Lunar patio, decking, patio slabs and new turf are fantastic. I would recommend Dig It Landscapes to everyone." we agonised long and hard before deciding to call in help to sort out the garden. I suppose we are no different from anybody else in being very hesitant in employing strangers. There are so many tales of rip-off merchants. How lucky were we to find you - not only are you hard and conscientious workers, but thoughtful and considerate as well. Your advice modified my original ideas and the garden benefited from your innovations. We wish you well in your enterprise and hope that you will use this testimonial if you feel it would be helpful". "It was with trepidation that I asked Megan and Paul to take a look at the "garden" at my husband's former bachelor pad. Having been untouched for more than 20 years (he was living with me), it was a mass of waist high grass and weeds, dotted here and there with planks of wood and broken paving stones. But like the true pros they are, neither fainted nor even laughed at the sight of the task that lay ahead. They made suggestions, presented me with a very reasonable quotation - and got on with the job. In no time at all, Paul and Sammyjo had cleared the rubbish and made what was left - a conifer, some flowering grasses and the bits of wood and stone into a surprisingly pretty and practical outdoor space. We were thrilled with the transformation, which finally made the house saleable, and we would unhesitatingly recommend Dig It Landscapes to anyone". Many thanks for a job well done, a professional team giving a professional finish. You have transformed our back and front areas with care to detail, friends also think the same, all areas left clean. It would give us great pleasure to recommend you to anyone, a professional team that does what it promised, and when planning the work giving help and advice. Once again, many thanks for a job well done". Just a note to say thank you for the work carried out on our raised beds. We are both really pleased with the job, from beginning to end. A very professional services with a personal touch. We look forward to working with you on the preparation of our new deck, please contact us to let us know when work can commence. we must write to thank you for the superb landscaping carried out by you recently to our front and back gardens. The major work on the back garden is quite beautiful and giving us so much pleasure; the transformation is just unbelievable considering the state of it before you started. All our friends who have seen it so far have shared our pleasure in the outcome. You are also to be congratulated for your work on the front garden and we know you would be delighted to know that everyone that passes along the lane stop and comment how lovely it looks. It was also such a pleasure to have you all around with such a friendly atmosphere at all times. It was also appreciated how everything was left tidy at the end of each days work - it just showed what a pride you took in everything. We cannot tell you how delighted we are that you were recommended to us and send our congratulations to you both on your designs and implementation. We would have no hesitation in recommending you to others. "May I recommend Paul and Megan Dovey of Dig It Landscapes. They are great and take on jobs of all sizes and budgets. Megan is ‘brill and they are the sort of company who really work for the customer, rather than just for their money"! Efficient and professional service, arrive on time, worked thoroughly, left everything pristine.